Their creators may sadly no longer be with us, but both Dave Stevens’ Rocketeer and Will Eisner’s The Spirit have enjoyed a resurgence in interest these past few years (though arguably that interest never went away). 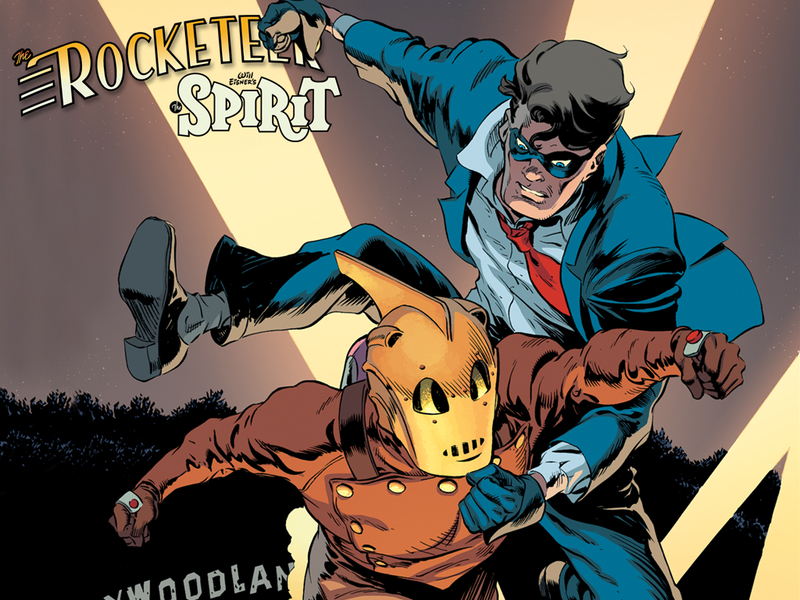 Comic veterans Mark Waid and Paul Smith will be doing a team-up of their own this July, when the timeless creations join forces for The Rocketeer/The Spirit: Pulp Friction, a 4-issue miniseries published by IDW. While superhero crossovers are ten a penny in the comic book medium, I guess this one stands out due to its pedigree; one character is a veritable icon, the other is a beloved homage to the classics. 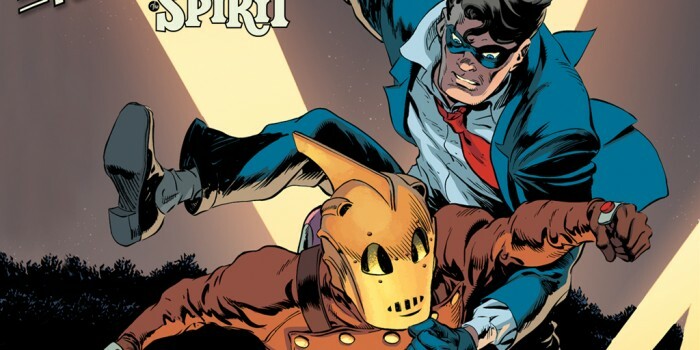 Waid‘s recent Rocketeer mini, Cargo of Doom, more than captured the tone of Stevens’ enduring icon, while Smith has already proven himself on DC’s previous Spirit revival. 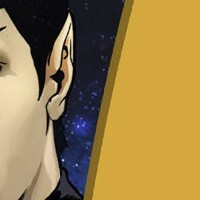 The miniseries will, according to IDW, feature “a murder mystery and political intrigue. 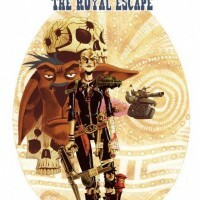 From the grim and gritty streets of Central City where The Spirit navigates through the urban underbelly of corruption to the sunny skies of Los Angeles where The Rocketeer soars above the Hollywood elite, these two classic characters will become enthralled in murder, mayhem, and all manner of danger—and with a healthy dose of signature humor tossed in for good measure.” Sign me up. 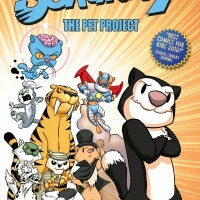 The first of issue of Pulp Friction is scheduled for release July 10. IDW Publishing and DC Entertainment are pleased to announce the meeting of two of comics’ greatest pulp heroes! Dave Stevens’ high-flying Cliff Secord will finally cross paths with Will Eisner’s iconic Denny Colt this summer in THE ROCKETEER/THE SPIRIT: PULP FRICTION! 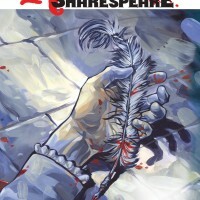 The four-issue series, taking off in July, will also pack quite the creative wallop, being written by multi-Eisner Award-winning scribe Mark Waid and drawn by the legendary Paul Smith!